Seattle – Mount Rainier is an active volcano and is situated in Cascades and is expected to erupt again. Seismologists are giving a closer look to the internal characteristics of the active volcano. They have installed sensors to measure the Earth’s electrical conductivity or resistivity at a location on northeast of Washington state’s Mount Rainier. Scientists have been able to get a detailed picture of the conditions deep below the mountain. This has been accomplished by measuring how quickly Earth conducts electricity and seismic waves. Mount Rainier is an active volcano which is situated in the Cascades and has erupted dozens of times in its 11,000 year history. Its last lava flow was 2,200 years ago and the last flow of ash and hot rock happened 1100 years ago. There have been some reports of eruptions in 1800’s but it has not been authenticated. 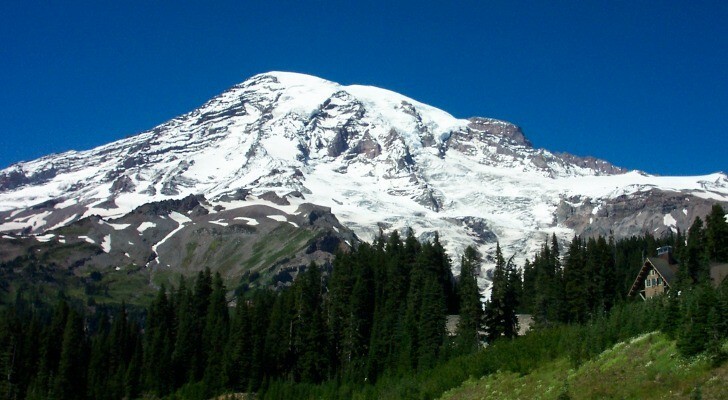 Since Mount Rainier is dormant for a long time and is expected to erupt making it more important to study it so that future eruptions can be predicted accurately. Seismic imaging and magnetotelluric measurement was used to make images taking into account the variance in electrical and magnetic field due to underground rock and fluids. This revealed that Mount Rainier’s partly molten magma reservoir is located about 6 to 10 miles northwest of the volcano and sits 30 to 45 miles southeast of the Seattle-Tacoma area. The top of the magma lays about 5 miles underground and the reservoir appears to be 5 to 10 miles thick. The findings are published in the journal Nature. I can’t believe someone got paid to write this sentence. Horrible article. The whole draw was these new images which weren’t shown. Instead we got text. Poorly written text. Fail.